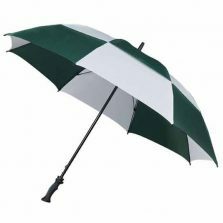 Ezpeleta Automatic Scotchlite Reflective Trim Golf Umbrella a welcome addition to the Umbrella Heaven range. 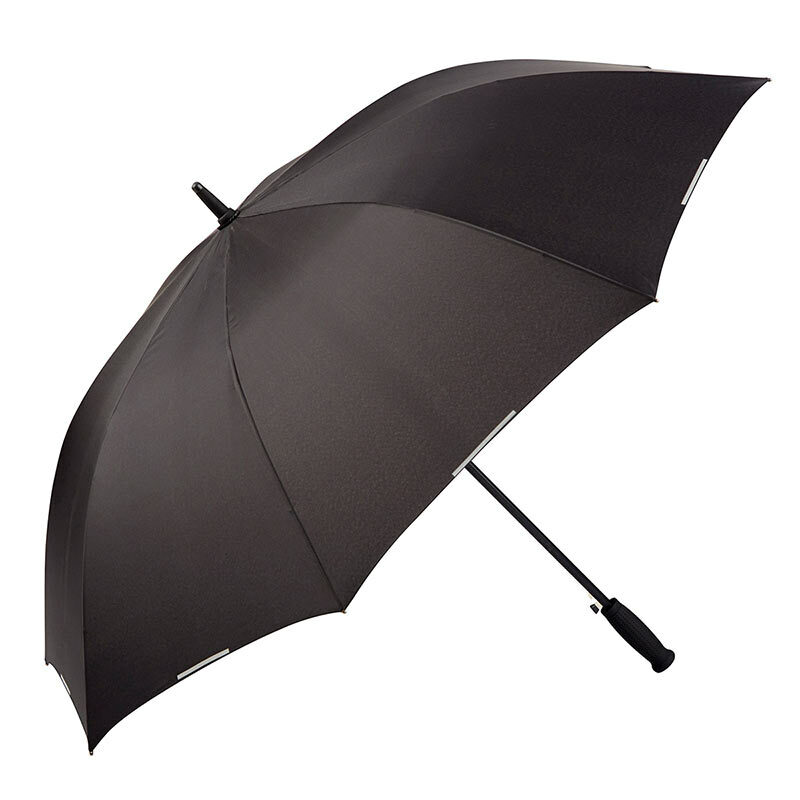 The amazing golf umbrella has a large canopy, soft grip handle and is auto opening. It also features a 3M Scotchlite Reflective Trim ensuring safety in the dark. 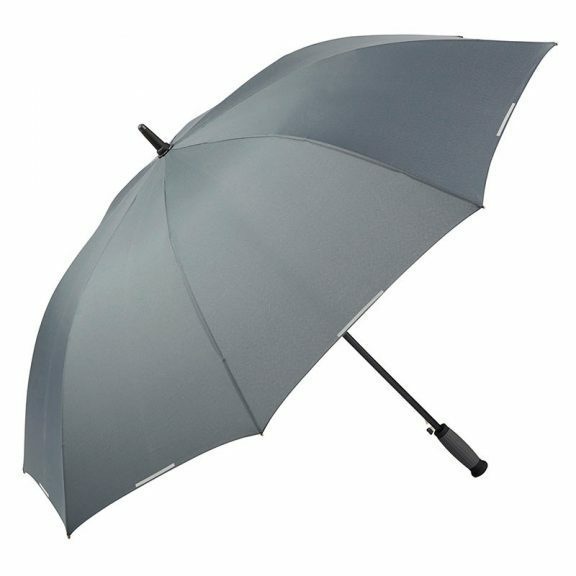 This is the Ezpeleta Automatic Scotchlite Reflective Trim Golf Umbrella. 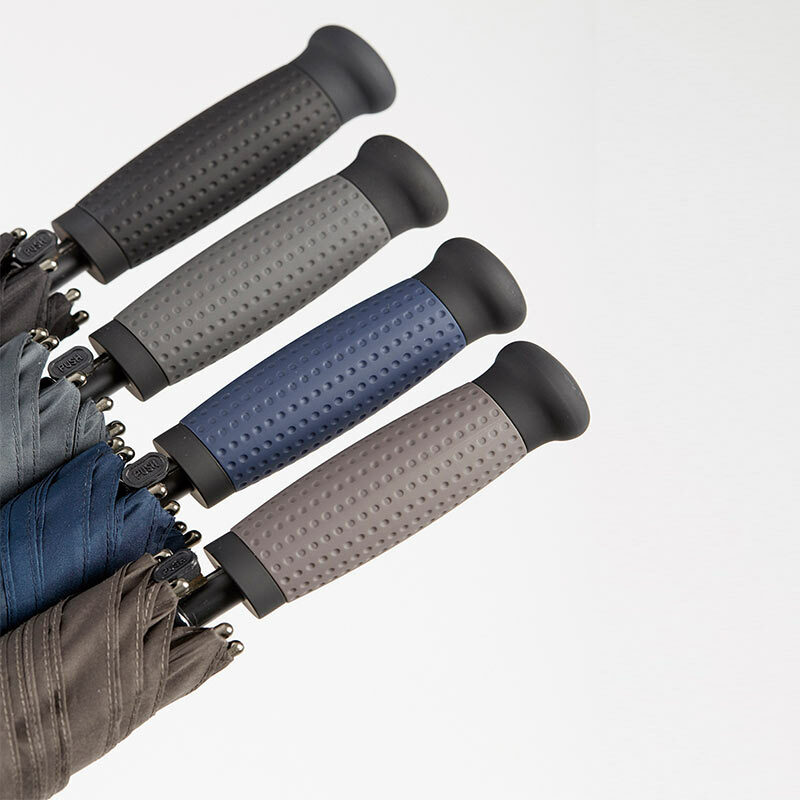 A brand addition to the Umbrella Heaven range. This amazing umbrella comes in 4 stylish colours: Black, Blue, Brown and Grey and is truly a king amongst golf umbrellas. The straight handle has a really comfy soft grip, great when you need to hold it for long periods. 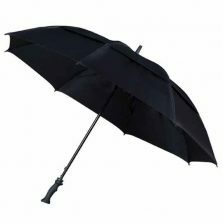 It’s an auto-open umbrella so goes up in a flash with a very reassuring sound (I can’t describe it but our old marketing manager used to call it a ‘wump’). 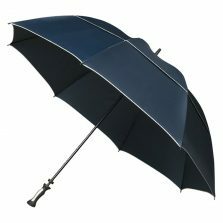 Once up your Ezpeleta Automatic Scotchlite Reflective Trim Golf Umbrella has a magnificent span of approx. 126 cm (49.5″). Enough coverage for at least two people! 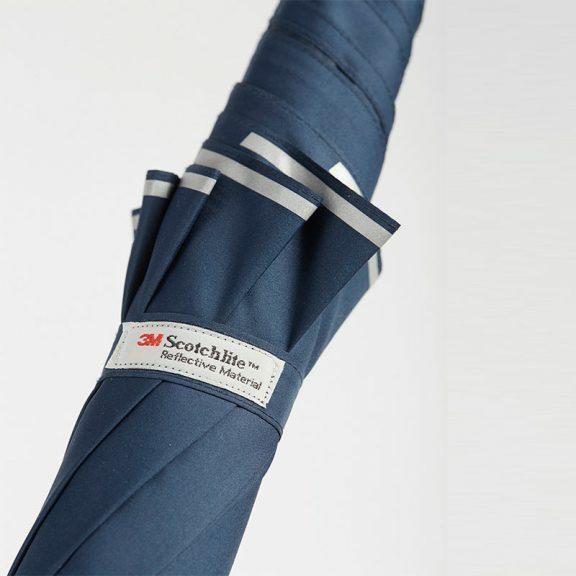 To finish it of this umbrella is not only windproof but at the edge of every panel there is a strip of 3M Scotchlite Reflective coating. So, you can not only be seen in the dark but if you are a golf addict you can also fit in a couple of rounds of night golf. 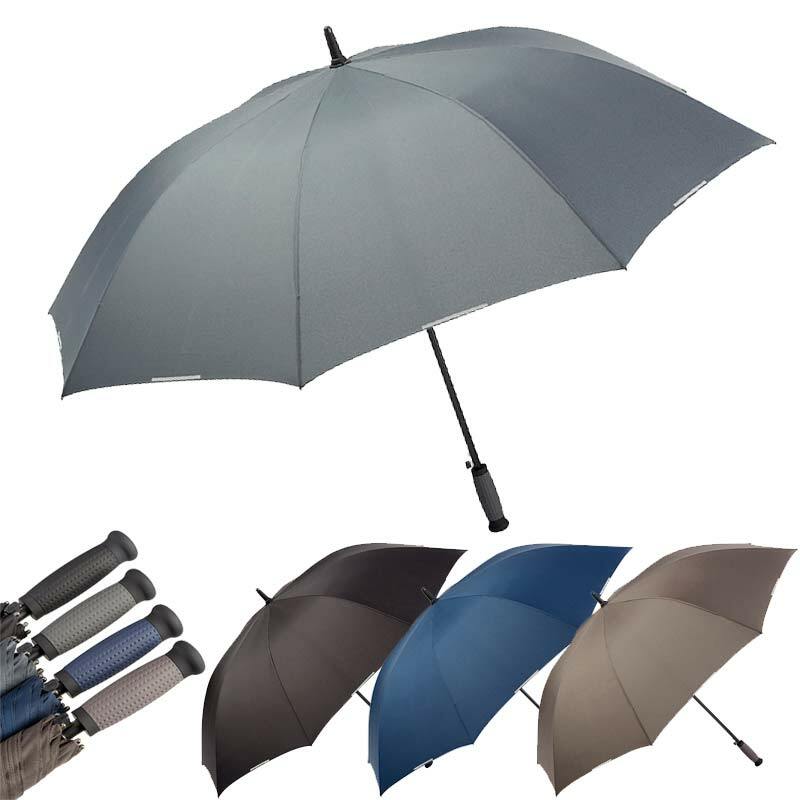 The Ezpeleta collection is brand new to Umbrella Heaven and we are very proud to add them to our range. We now have around 1000 styles and colours for you to choose from. Why not make a coffee and browse our whole range? Click and see some more of the fabulous Ezpeleta collection. 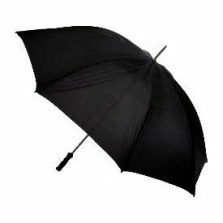 Click here to view our range of golf umbrellas.